Developing healthy self-esteem is important for children and young people, as we established in our last post. 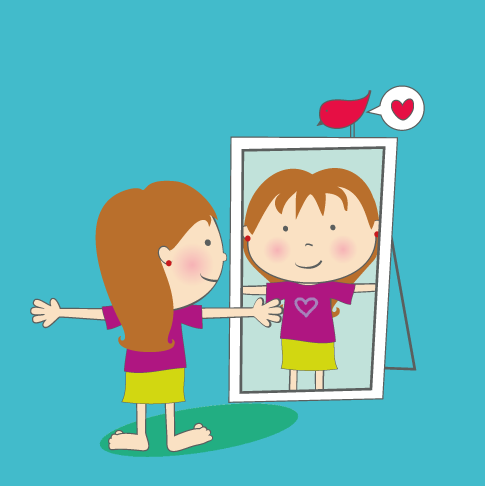 As self-esteem depends on the internal ability to feel good about ourselves, it’s helpful to know how we can develop healthy self-esteem in children and young people. This post gives some practical tips. Encourage good self-talk and a focus on the positives, especially when failure happens. If things go wrong, talk about the learning that can be taking from it. It’s good to let them know that no one is good at everything. Show children that we are all fallible and you make mistakes too; when things don’t go well for you, share the experience as appropriate and show them how you are working through it and making changes so it doesn’t happen again. It could be as simple as forgetting an appointment and them showing how you put the rearranged appointment in your diary and put a reminder into your phone. Focus on a child’s strengths! Notice what they do well and tell them. Give plenty of opportunities to develop these skills, activities and attributes. Nurturing strengths encourages children to feel good about who they are and what they want to achieve. 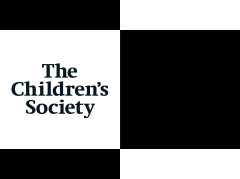 A really good place to start for children over 10 is the free VIA character strengths youth survey. There is a growing body of evidence from positive psychology to suggest that knowing and applying your character strengths in your life is highly beneficial. There is an adult survey too! Ban harsh criticism. The messages children hear about themselves from others easily translate into how they feel about themselves, so guard against this when you can. Harsh words (e.g. ‘You’re so lazy!’) are harmful, not motivating. Avoid using negative labels and messages – these can too easily become the child’s lifetime view of themselves. Praising effort helps to ensure that children and young people are aware that reward comes from effort rather than outcome or ability. This in turn, encourages them to challenge themselves rather than limited their achievements. Praise effort but beware over praising – children are very good at spotting insincerity. Over praising can also foster an ‘I can do no wrong’ attitude or a belief that they are only good if someone else is telling them so. Be specific with praise so children are aware of what it is you are praising. An alternative to ‘that’s good’, might be ‘I really like the way you’ve shaded that’, or ‘I can see you’ve really thought about the colours you’ve used there’; instead of ‘well done’, you might say ‘thank you for sitting down as soon as I asked you to’ etc. In this way, you are developing their sense of their own abilities and are understanding what the praise is for. Resist stepping in too soon to make things better. By allowing a child a little time and space to figure it out for themselves, you allow them to achieve independently. You can acknowledge that they have a problem and perhaps how it’s making them feel and it’s helpful to let them know that you believe in them and have faith they can work it out. You can support them by letting them talk through the options and helping them decide what they want to do. Over time this helps to fosters a sense of achievement and ownership and helps children to learn that trying can get them to the other side of a problem. Help children to learn things! At every age there are new things to learn from using a cup to working a computer to overcoming relationship problems. By modelling the process, allowing them to have a go and encouraging them to try again if they don’t get it right straight-away, you are providing opportunities for children to master skills and allowing self-esteem to take root. Listen to your child. Listening a better way of developing self-esteem than telling. By asking questions, you are allowing a child time to work things out for themselves, develop their own strategies and consider all the options, encouraging them to make the choices and empowering them to take responsibility for their own decisions. For older children, talk to them about social media. While it’s sensible to monitor the quantity of time that your children and teens spend on social accounts, the quality of the social media activities that they engage in is important too and can clearly impact their self-esteem and well-being. Discussing basics such as how many people accentuate the good in their lives and filter out failures in their social media activity (or recognising that some elements are totally made up!). Talk to them about how images can be manipulated too and how these images are changed to give the impression of perfection and how unrealistic this is. Encourage healthy habits! Regular exercise is known to make us feel good so it’s great habit to get children into. A good walk can not only give some fresh air and exercise, but a good opportunity to talk. And healthy eating helps to ensure that children have plenty of energy, their brains and bodies work to the best of their abilities and they are more likely to feel good about themselves. So there you are, some top tips for developing healthy self-esteem in children and young people. If you think we’ve missed anything, do let us know by leaving a comment below.